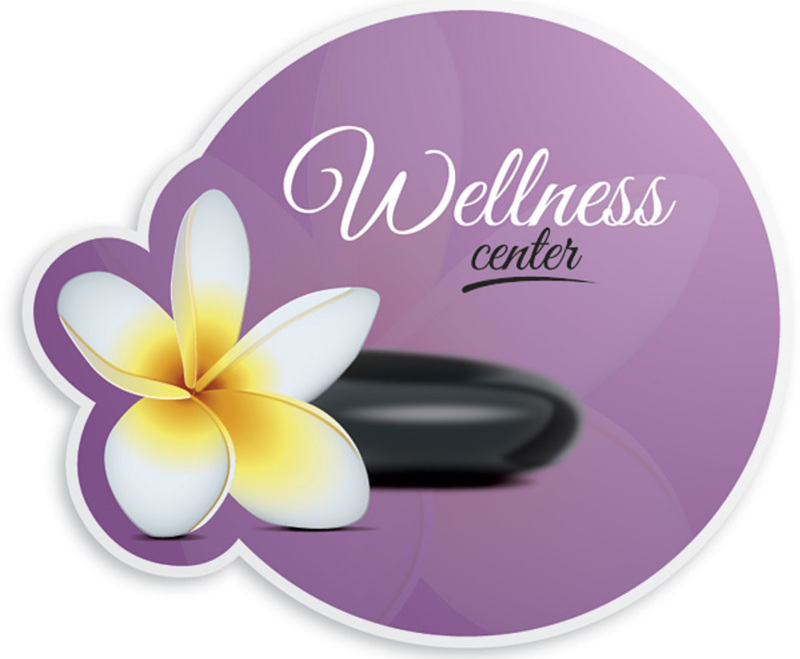 Designed for spas and other health-centric businesses, this graphic uses soothing themes to deliver a serene message. A round lavender background sets the calm tone, while the text sits in the center of the graphic in white and black. The relaxed script font has a somewhat elegant look. A floral array of creamy petals rests on the left side of the image, showing your business's healthy approach through a recognizable natural symbol. A black massage stone sits against the background, and a large, translucent flower fills the space behind the text to complete the effect.